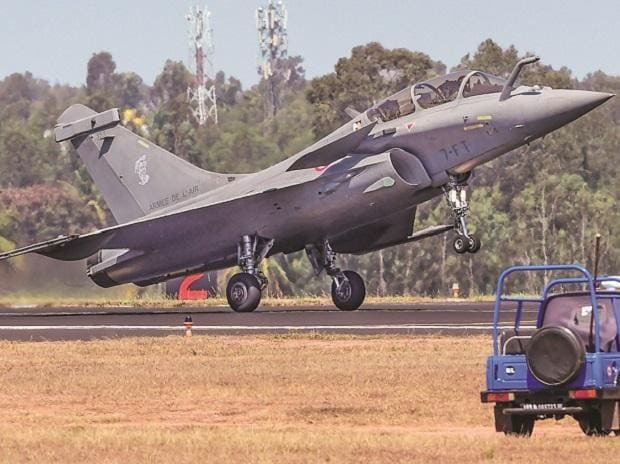 The Supreme Court on Wednesday dismissed the central government’s plea that since documents related to the purchase of 36 Rafale fighter jets were stolen from the defence ministry, these should not be part of the review petition moved in the case. The government had objected to three such documents being taken on record, alleging that the petitioners had made unauthorised copies of the documents, which amounted to violation of the Official Secrets Act. The review petition, a three-judge Bench led by Chief Justice of India (CJI) Ranjan Gogoi said, “will be adjudicated on its own merit by taking into account the relevance of the contents of the three documents”. The documents in question are an eight-page note written by the three members of an Indian Negotiating Team on June 1, 2016, a note written by the Ministry of Defence, and another by a deputy secretary of the ministry. The details contained in these notes were published by national daily The Hindu. The same documents were later used by the petitioners — former Union ministers Yashwant Sinha and Arun Shourie, and senior advocate Prashant Bhushan. In its judgment, the top court said the newspaper had the right to publish those documents as the “right of such publication would seem to be in consonance with the constitutional guarantee of freedom of speech”. There was no law enacted by Parliament that specifically prohibited the publication of these documents, the CJI said. On December 14 last year, the apex court had in a unanimous verdict said there was “no occasion to really doubt” the procurement process of 36 Rafale fighter jets, “even if minor deviations have occurred”. The court had further said it did not want to go into the sensitive issue of the purchase of the aircraft. Following the judgment, Sinha, Shourie and Bhushan had moved review petitions claiming that the central government had made false claims in its affidavits and that the judgment had “relied upon patently incorrect claims made by the government in an unsigned note given in a sealed cover”. The news reports published by The Hindu were also included as part of fresh evidence. During the review hearing, the government had informed the top court that the documents had been stolen either by the current or former employees of the Ministry of Defence and that the government was planning to take “crim­inal action” against the newspapers that published the stories and the petitioner who used it in his petition. The government had also claimed priv­ilege for the documents as they were related to national security. In its judgment, the SC brushed aside this plea as well. “A claim of immunity against disclosure…has to be essentially adju­dged on the touchstone of public interest and to satisfy itself that public interest is not put to jeopardy by requiring disclosure, the court may even inspect the document in question,” the CJI said in his judgment, adding that such a power had to be sparingly exercised. The other part of the judgment, authored by Justice K M Joseph, concurs with the judgment of the CJI and Justice Sanjay Kishan Kaul. Justice Joseph reiterated that the state cannot claim privilege as they had never questioned the correctness of the documents. Reacting to the development, the Congress said the SC’s judgment had demolished the lie of self-pronou­nced clean-chit used by PM Modi, and that the truth of “layers of corruption in the Rafale Scam” had finally caught up with him. “Today, the Supreme Court has blown the last lid off the lies of the Prime Minister on Rafale by saying that evidentiary value of the document will be seen and not the source of the document, and the evidentiary value is that there is blatant theft, violation of procedure, corruption and compromising national interest in the entire Rafale deal,” said Randeep Singh Surjewala, in-charge of the party’s communications department. The Ministry of Defence, however, maintained that the documents in question present a selective and incomplete picture of internal secret deliberations related to national security and defence. “The documents presented by the petitioners are failing to bring out how the issues were addressed and resolved and necessary approvals of the competent authorities are taken. These are selective and incomplete representation of facts and records by the petitioners,” the ministry said in a statement.